What is a management approach statement? A Quality Assurance (QA) Approach that establishes standardized measurements to address the performance of all contracted activities. A Customer Partnership Approach creates a management structure across organizations. This approach involves the customer in virtually all aspects of the contracted actions. A Communication Strategy that establishes a structure of reporting and communicating between your business and its customer. A Human Resources Approach that empowers the Project Manager (PM) to be able to conduct hiring and reorganization of personnel to complete the project. A Program Governance Plan that establishes effective delegation from the PM down through establishes roles in your company, and often, cross-organizationally. Variations can occur when it comes to management approach, but the fact remains that you should address the issue within all your proposals. So the question becomes: How? 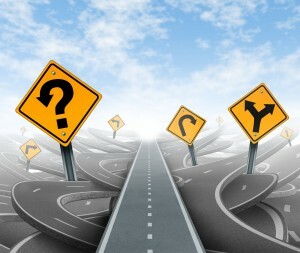 How to clarify management approach? In the context of a proposal, you will want to dedicate a heading to the management approach you envision for the project. This does need to be clear, but the amount of written real estate afforded to it can be fairly narrow. For example, if you are submitting a proposal to handle a digital marketing campaign, the relationship of the digital agency to the client will generally be handled by a dedicated account manager. But, the customer will often have some access to other channels within the digital agency. A simple paragraph or two should be sufficient to clarify this relationship. But, in a more complex project, more proposal space may need to be dedicated to clarifying how the project will be managed. In the example of an agreement for the construction of a 500-seat auditorium, more cross-organizational relationships may need to be established. The PM may need to interface with financial officers to approve cost adjustments. Likewise, the customer may want to have independent inspections and audits of material and workmanship – another relation that should be outlined in the proposal. The level of detail afforded to explain management approach should correspond to the complexity of the roles needed to complete the project. The order here can be moved around to suit the level of importance of each point of discussion. Also, if a given topic is not germane to the project, it can be cut (training, if unneeded, for example). Let’s take a quick look at what belongs in each sub-heading. Job Title: The title of the given position. Description: A high-level breakdown of the role. Responsibilities: A list of all job functions/responsibilities. Optional Photo: Give a face to your organization. Every role that is either created or reassigned in the course of completing the project should be given a clear definition just like we talked about. The creation of roles can necessarily create the need for training. If the project means that your staff will have to come to understand proprietary operations or techniques inherent to your customer’s business, the process of indoctrinating them to those processes should be accounted for in your proposal. Questions to ask and answer here are: Who will conduct the training? How long will the training take? Will the cost of training be factored into the project budget? These issues should be clearly covered in your proposal to avoid confusion once you’ve won the bid. Of course, in mentioning training, don’t under-sell your team’s experience, potentially risking the bid. It’s also good to mention things like training under contingency items on the budget, which gives you wiggle room for smaller changes over the course of the project. Every project needs a timeline for milestones and deliverables. The timeline should reflect the overall project strategy and goals, as well as established deadlines outlined in the RFP or in communication with your prospective customer. It’s not important that you define the final timetable of the project in the management approach section of the proposal, though. It’s much more important that you establish the people who will be responsible for making sure timeframes are met, and the frequency of the completion and reporting of important milestones. Your customer needs to know that you have a plan in place to meet all essential milestones. Your client will want to know who they will be communicating with across your partnership. The next important aspect of management approach is the method you plan to employ for monitoring and reporting the progress of the project. The case may be that you will have a dedicated liaison that is responsible for providing weekly progress reports. Other situations may demand more, or less, frequent reporting. The unique demands of a given project will affect this, so you will want to put some thought into the issue. Moreover, your proposal’s management approach section should detail the various processes and systems in place to monitor the project. If regular QA reporting is needed, for example, your proposal should outline how the reports will be delivered. Likewise, use the management approach section to explain any data sets or statistical analyses that will be available over the course of the project, and when those things will be forwarded to the customer. The management approach you establish in your proposal is essential to winning the bid. Your potential customer wants to know that your organization can handle whatever is being proposed. Let them know that they can confidently award you the business by incorporating a sufficient description of how the various activities you propose will be managed. 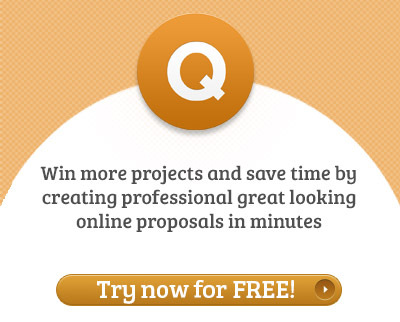 So put some thought into this often overlooked aspect of the proposal creation process, and win more bids in doing so. Is your management approach clearly stated?